Forget your other finger food, appetizer, and various hors d’oeuvres options. These taco bites are all you need. Perfect salty, savory, filling, crunch, cheesy, nom-nomy taco bites. Bonus, they use up baked or rotisserie left overs too – plus healthy black beans! Remember my awesome chicken enchiladas? 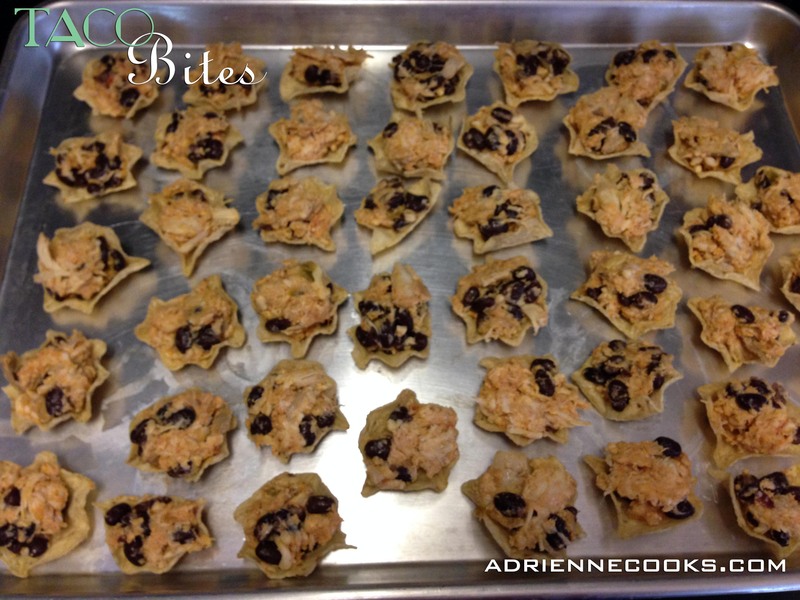 Just add black beans to that filling and continue with the recipe below. I’ll put that stuff in the ingredients list but this really is a supreme way to use up leftovers. Instead of the chicken, seasoning, and salsa above you can use leftover filling from Easy Weeknight Chicken Enchiladas! 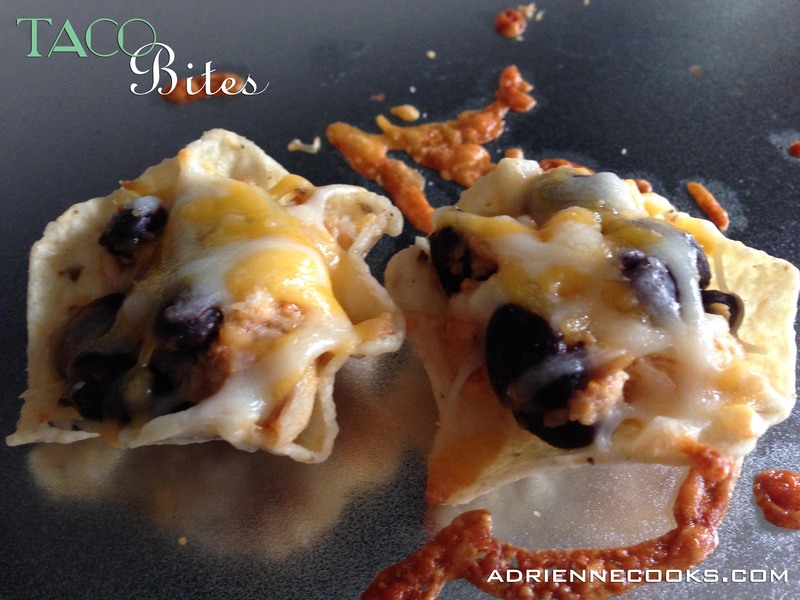 Just add the black beans, stuff in shells, top with cheese and bake. 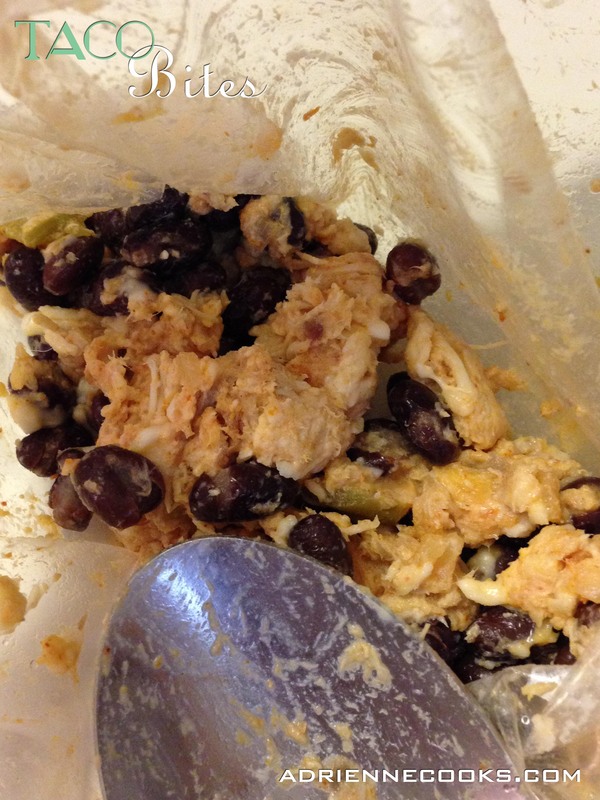 Mix chicken, seasonings, beans, salsa and half of your cheese together in a bowl. Stuff filling in tiny shells with two spoons – one to scoop and one to push the filling off the spoon into the shell. Bake at 350 degree for 10 minutes or until the cheese is melted and beginning to brown. Cool for 2-3 minutes and start eating! 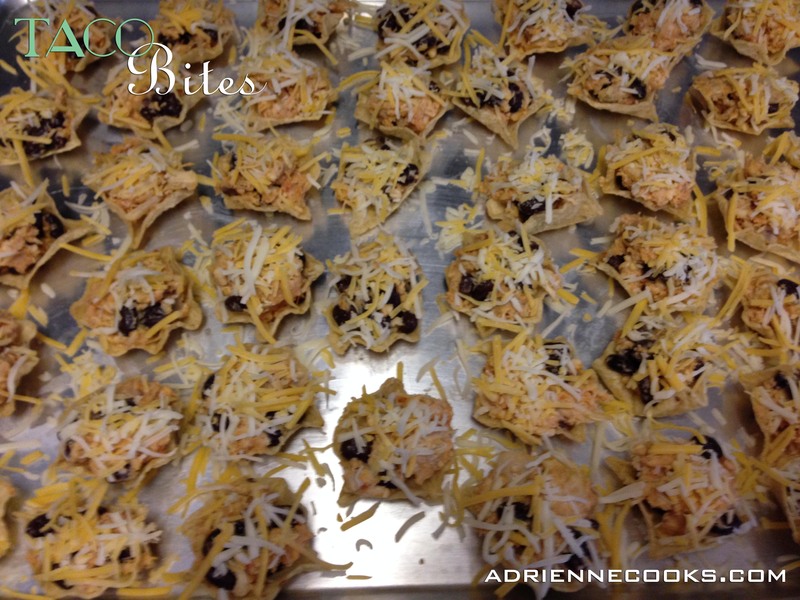 LOVE this idea… I’m a taco freak and I love snack food. This would be perfect with some adult beverages. They so are! Grab a margarita and go to town! You are so welcome! I hope you can make these before the big game, just a word of warning though – they will become a habit!